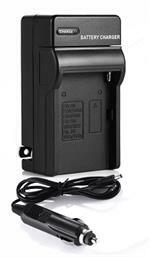 CHG-FM50: Smart Charger for NP-FM50, NP-FM55H, NP-FM30 Li-ION batteries for SONY. AC and DC operation. 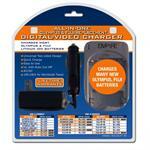 Charger-BP110 : Charger for BP-110 LiION battery (for Canon). 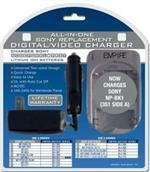 Plugs into wall outlets, and also works from 12VDC socket in vehicle. 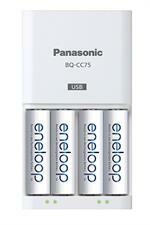 Compact, safe, smart charge for the BP-110 Li-ION battery. Automatically shuts off when done charging. 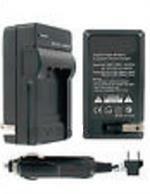 NEW UPDATED ITEM: CHG-Li3.7v (replaces CHG-123A): Intelligent Dual-Charger system for 3.7volt rechargeable Li-ION battery cells. 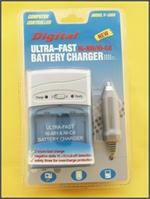 Unit charges up to 2 Li-ION batteries at a time. Includes USB power adapter. 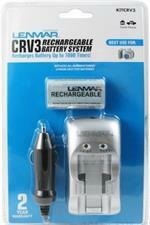 KITCRV3: rechargeable CR-V3 Li-ION battery and Smart Charger. 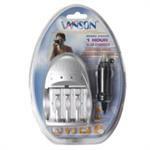 Works from wall outlet OR 12V lighter socket. 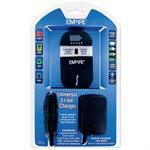 Safe, smart, quick charge with automatic shut-off. CR-V3 Li-ION battery replaces CRV3 or 2 x AAs.